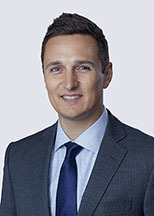 Jonathan Demers is an attorney in Honigman’s Detroit office. As a member of the Real Estate Department, Jonathan works with local and national owners and developers on real estate transactions throughout the country. He focuses his practice on commercial real estate transactions, including acquisitions, sales, financings, leasing, and other related matters. He serves the firm as a member of the Summer Associate Committee. Served as an intern to Chief Justice Robert P. Young, Jr. of the Michigan Supreme Court. Jonathan Demers featured in Detroit Legal News article, "Pitching in: Wayne Law student helps to rejuvenate Detroit's eastside"